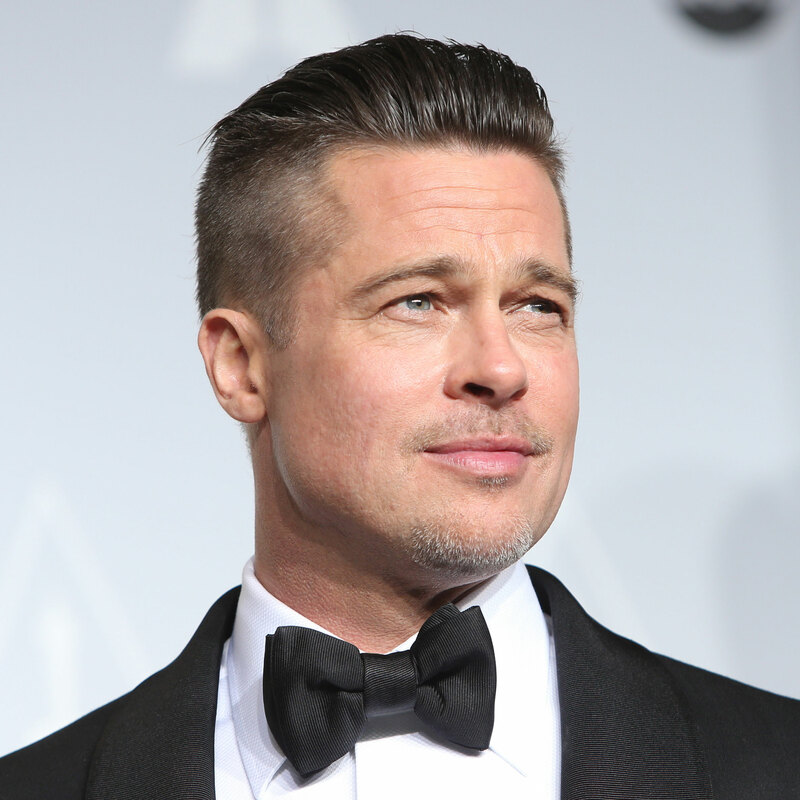 Actor Brad Pitt has lauded praise on Peter Zumthor as the Swiss architect’s plans for Los Angeles County Museum of Art in Los Angeles are approved. 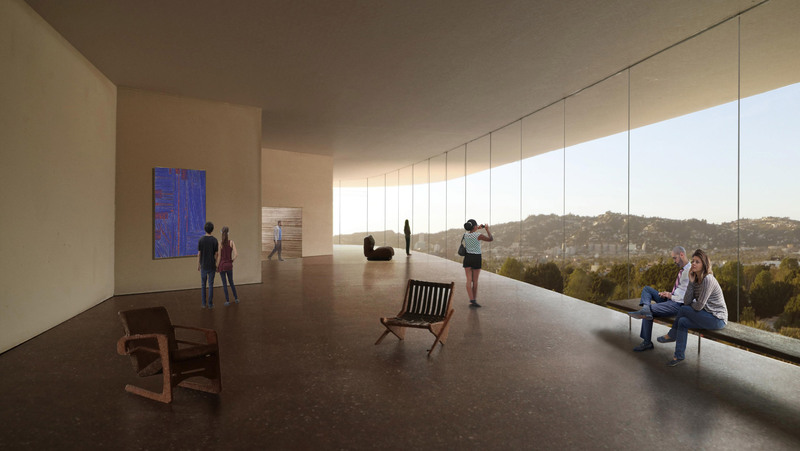 Pitt praised the work of the Pritzker Prize-winning architect while speaking as a guest speaker at the planning consultation for the latest version of the controversial Los Angeles County Museum of Art (LACMA) project, during which the project was granted consent. “There’s no way to understand his work from a computer-generated image,” says Pitt in defense of the project. Pitt championed the architect at the 9 April to certify the Final Environmental Impact Report (FEIR) for the new building, and provide final approval. The actor was joined by celebrity Diane Keaton and museum trustees who also defended the scheme at the hearing, which was broadcast live, and logged in a Twitter thread by Curbed’s Alissa Walker. LA’s board of supervisors also confirmed it will contribute $117.5 million (£ towards the cost of the project, which is estimated to cost $560million (£428.7 million) in total. 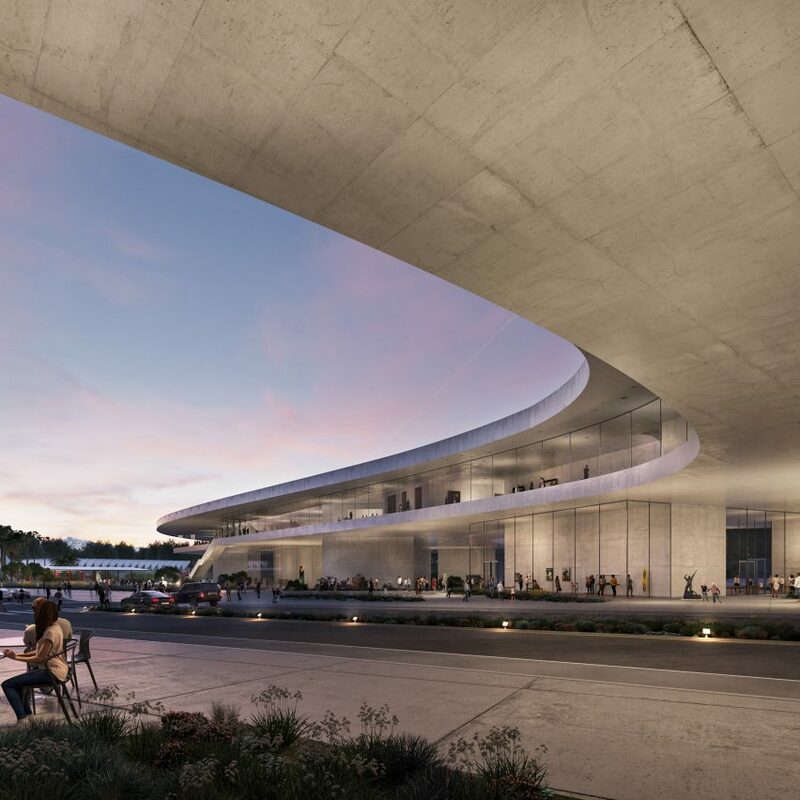 The environmental approval and financial boost marks a major step forward for the LACMA development, and comes in spite of severe opposition to Zumthor’s proposal. “LACMA has become the Incredible Shrinking Museum,” said Los Angeles Times art critic Christopher Knight. He critiqued the scheme in a piece that called for the board to not approve the environmental report. “I couldn’t name another art museum anywhere that has ever raised hundreds of millions of dollars to spend on reducing its collection space,” Knight said. As revealed in Knight’s article, which bills LACMA as “the Incredible Shrinking Museum”, the size of the LACMA proposal has varied since it was first revealed. The original scheme comprised an undulating black form and is said to have matched the size of the current buildings, but was revised one year later after concerns it would damage the nearby La Brea Tar Pits. Zumthor’s revision snaked the new galleries over Wilshire Boulevard – one of LA’s biggest and busiest roads – and down at eight points either side. The latest iteration scaled back the project further. 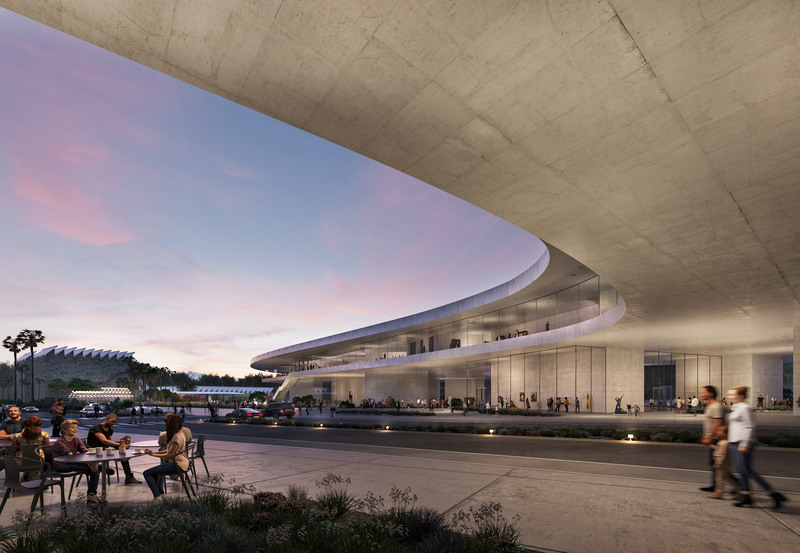 Renderings released by LACMA show a curved structure elevated above ground atop a series of of semi-transparent pavilions. This curvilinear upper level will offer approximately 110,000 square feet (10,000 square metres) of galleries in a continuous space, not including the lower level. The earlier schemes had provided a total of 37,000 square metres of new exhibition spaces. Exhibitions are expected to be theme to show a “non-hierarchical display of art”, collating materials from across LACMA’s collection. 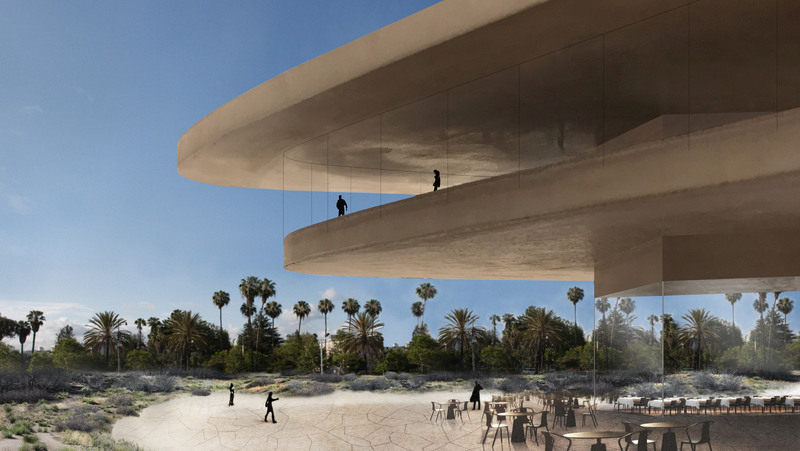 With the go-ahead received, construction is slated to commence next year on Zumthor’s LACMA galleries next year, after the architect has spent over 10 years working on the project. Once complete, it will mark the his first in the US. Zumthor, 75, is known a number of buildings in Europe including the Therme Vals spa in Switzerland, the Zinc Mine Museum in Norway and the Brother Klaus Field Chapel in Germany. He has also received a number of high-profile awards, such as the Praemium Imperiale in 2008, the Pritzker Prize in 2009 and the RIBA Gold Medal in 2013. Pitt’s support of Zumthor’s aesthetic follows the actor’s ongoing interest in architecture and design. “I love architecture, so I’m excited to be here,” Walker quoted Pitt, adding that he was “the first person at the LACMA hearing to pronounce Zumthor correctly”. Pitt established housing charity Make it Right in 2006 to rehouse people who lost their homes when Hurricane Katrina destroyed the New Orleans’ Lower 9th Ward. Many well-known architects – including Frank Gehry, David Adjaye and Shigeru Ban– developed housing designs for the scheme. However, like Zumthor, Pitt has also encountered controversy with the project. The is charity facing a lawsuit after residents reported water leaks, black mould, foundation issues and ill health. The post Zumthor is a “master of light and shadow” says Brad Pitt appeared first on Dezeen.